Shutterchance, Travel Comments Off on The train now standing…. From last week’s photo charter. The stars of the day were “Sir Haydn” and “Edward Thomas”, both originally running on the nearby Corris Railway. Here. our train is ready to depart. We had twelve hours working with the loco crews to get the trains to where we wanted them. This was a brief dry interlude in what was generally a wet day. Click on the image to see it at a larger size. 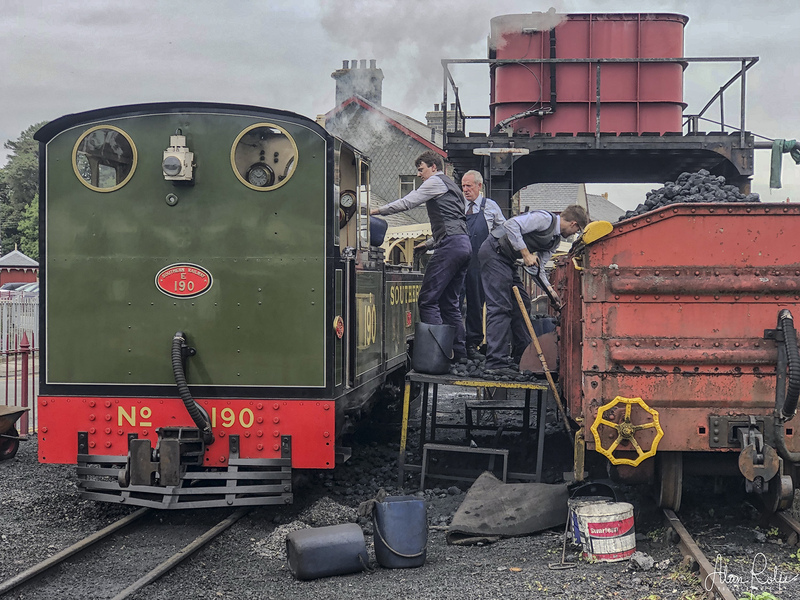 One of the less glamorous jobs of driving a steam locomotive; filling the coal bunkers in readiness for another trip up the line. 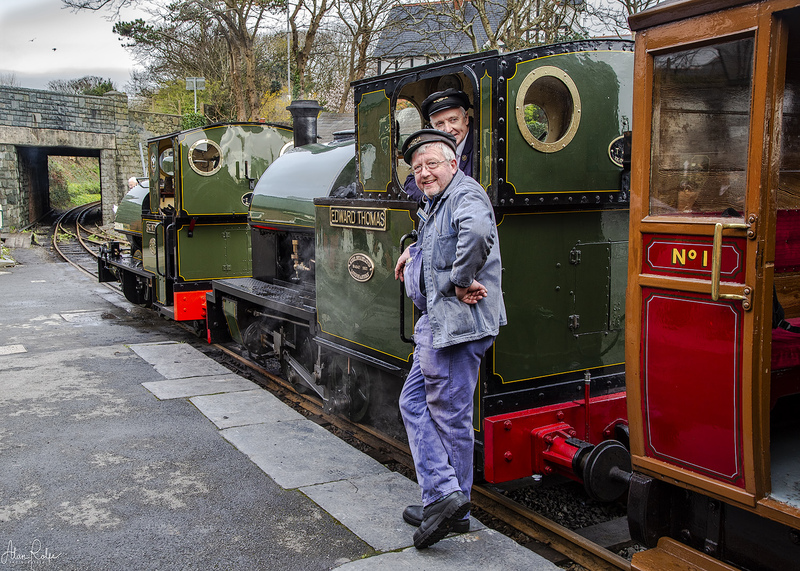 “Lyd” was built by the Ffestiniog Railway in their Boston Lodge shops over a period of 15 years. Lyd is based on the design of the Lynton & Barnstaple Locomotive E188 Lew which was built by Manning Wardle in 1925 for the Southern Railway, who owned the former independent line at the time. Being the newest L&B loco (the others had all been in use since 1898), Lew was the only one that wasn’t scrapped following the closure of the line in 1935, and was used to dismantle the line before being shipped overseas to South America (possibly Brazil) and an uncertain fate. Although externally similar in appearance, to Lew, Lyd incorporates a number of modern design and construction techniques to improve overall efficiency. In order to navigate Garnedd tunnel, Lyd’s cab is fitted with removable side panels to change the roof profile. Lyd was painted in early 1950s British Railways lined black livery and carrying the number 30190. In September 2011, Lyd was repainted in Southern Railway Maunsell Green and numbered E190. Initially completed as an oil-burner, but designed for easy conversion, Lyd was converted to coal-burning during the autumn of 2011, and was first fired with coal on 12 December. In November 2012, Lyd was on static display at the NEC in Birmingham as the key exhibit of Lynton and Barnstaple World – an L&B-themed group of model railway layouts exhibited at the Warley National Model Railway Exhibition.